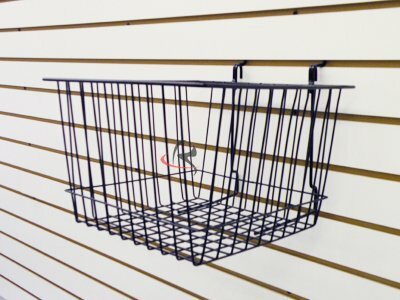 These wall mounted wire baskets are 12 x 12 x 8 (L x D x H). The carriers feature a sloping front. These wall mounted wire baskets are white. The holders can be attached to gridwall, pegboard, and slatwall. 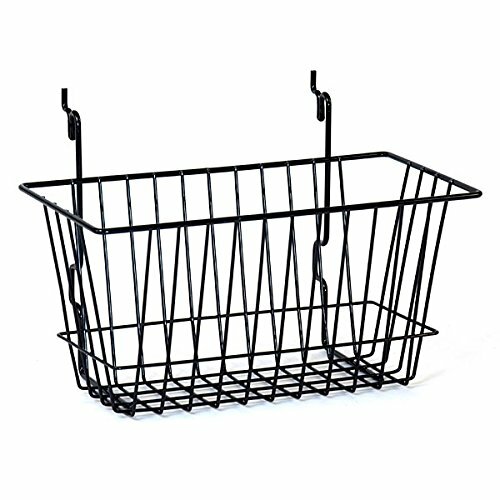 These wall mounted wire baskets can hold small and bulk items. NOTE:DIMENSIONS MAY VARY BY 1/2! 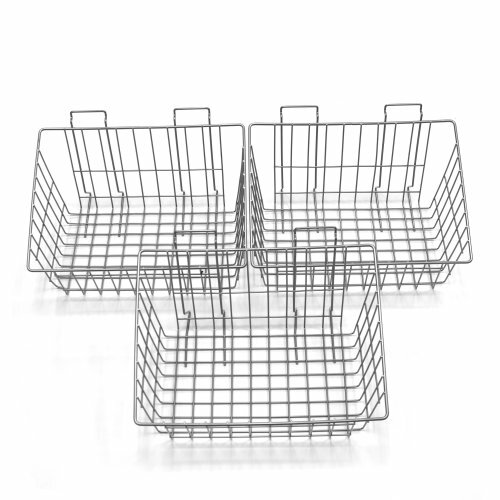 This wire basket storage is 12 x 6 x 6 (L x D x H). The carrier is black. 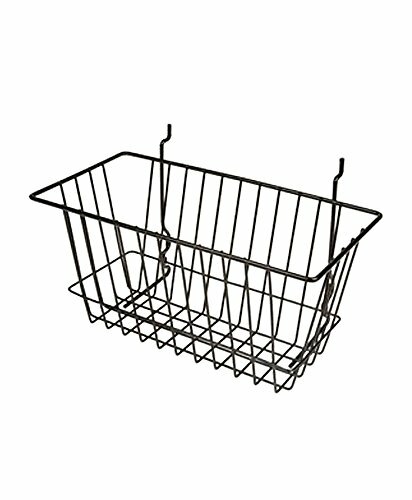 This wire basket storage has a narrow bucket for holding items. 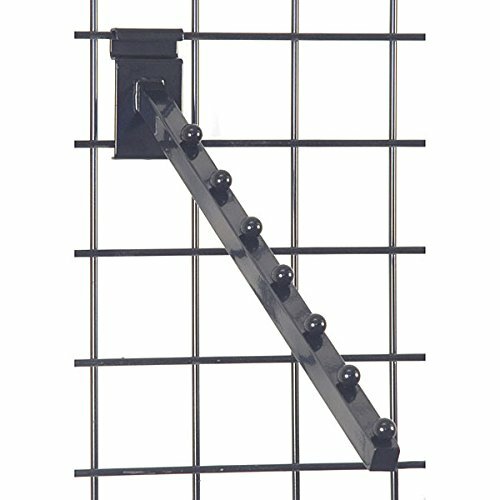 The holder can be mounted to slat wall, grid wall, and pegboard. 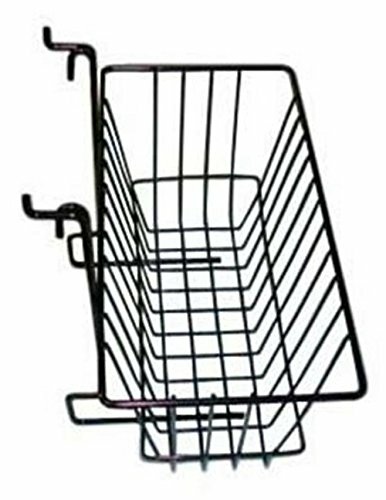 This wire basket storage is made of metal. 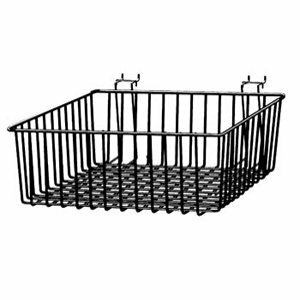 Slat wall basket 12"w x 10"d x 3"h to 5"h back perforated metal - black. 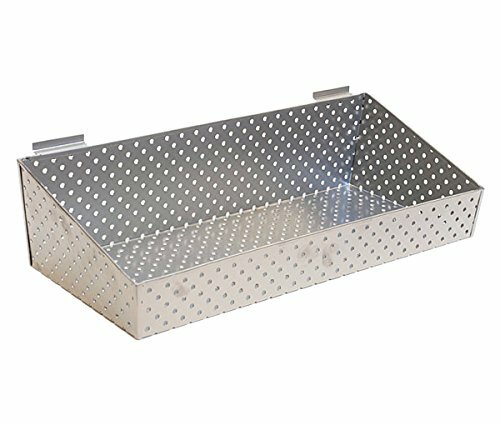 Slat wall basket 12"w x 10"d x 3"h to 5"h back perforated metal - silver. 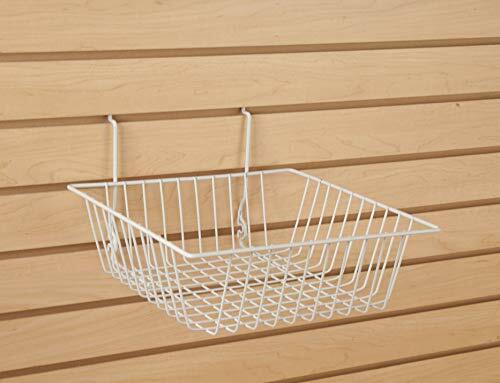 Slat wall basket 24"w x 10"d x 3"h to 6"h back perforated metal - silver. The most universal hook, Evolia 4-inch single hooks have a shiny chrome finish and ball-tip ends to protect your clothes and other things. 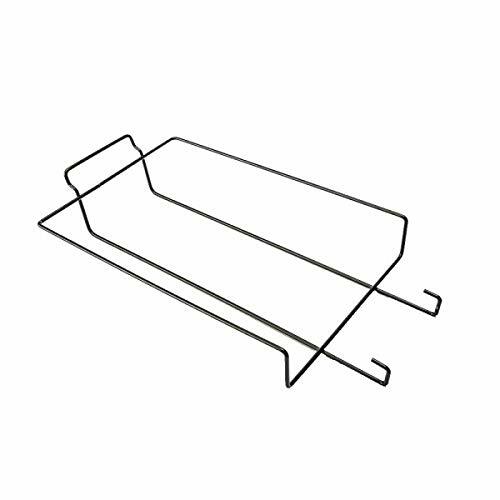 They're great to have at the ready for handbags, jewelry, hats, spare hangers, toys and pretty much everything. Fits in Evolia & Proslat Panels. Not suitable for traditional slatwall. 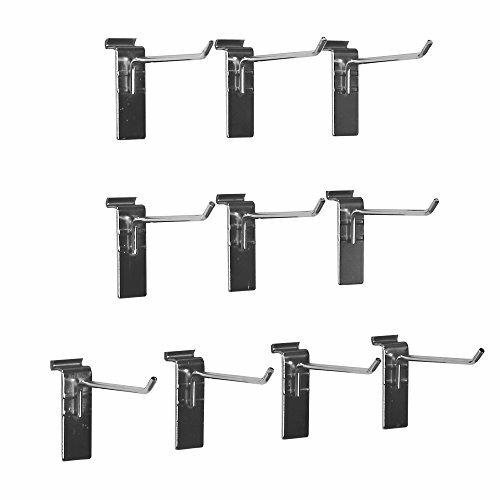 Pack of 10 hooks. Grid wall 7 ball waterfall - black. Allows retailer to display up to twelve (12) baseball style caps. 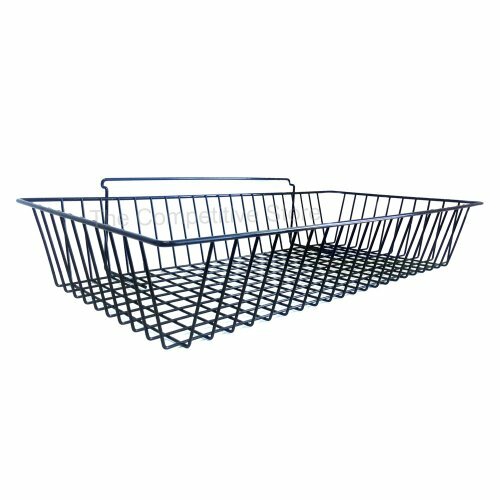 Give your store a clutter-free appearance with AMKO BSK17/WTE Narrow Basket. 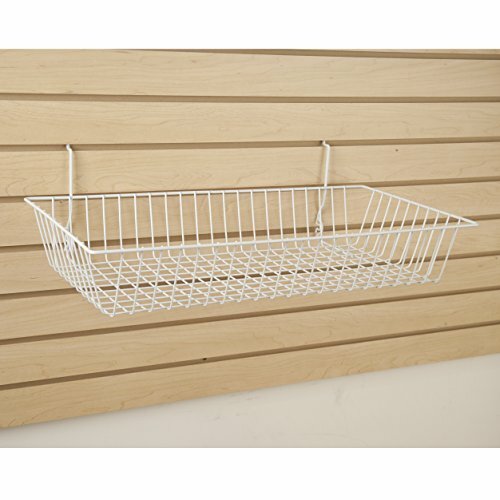 This storage tub is easily mountable to slat wall, grid panels or pegboard. 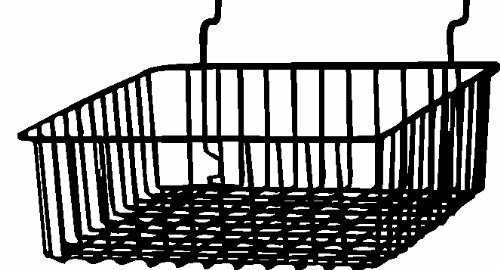 Made of metal, the wired basket is shatter proof and suitable for lasting usage. It delivers visible shine and is more resistant to damages and smudges. 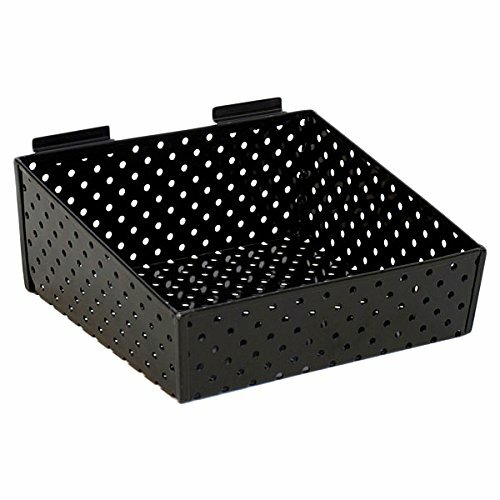 This pegboard basket features optimum design for better carrying space. 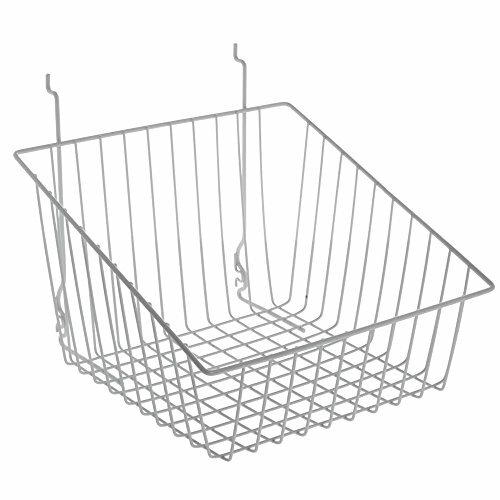 The durable narrow basket is self-supporting and fits firmly when mounted. 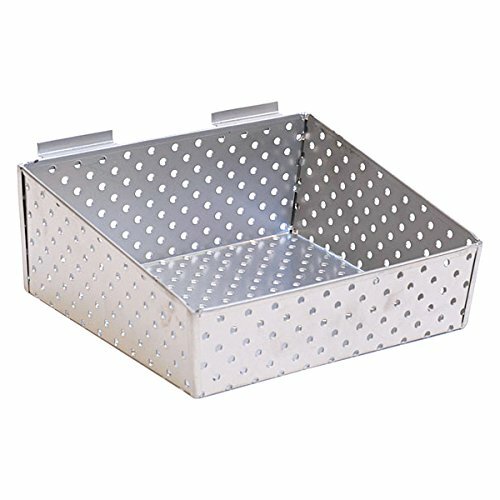 Spacious storage basket can store any light to medium weight packaged or loose goods. Slatwall clear acrylic display bin. 24" wide x 8" deep with 4" sides. Ideal for loose items. New. 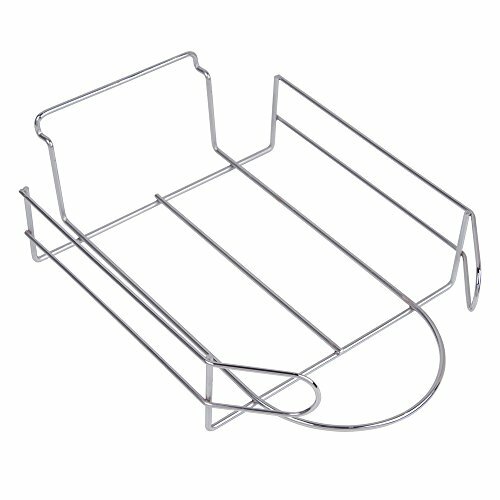 Box of 3 white slatwall baskets. They are 12" x 24" x 4".